For any business that’s just starting out, there’s more than enough reason to onboard a startup lawyer. You’ll need to handle everything from trademarks and nondisclosure agreements to employee documents. Also, you’ll need someone who spots legal trouble and can prevent it from happening. Unfortunately, many startups wait to begin their hunt for the perfect attorney. Your need for one starts when (or even before) the company goes live. Also, the need doesn’t usually subside. This is especially true if your business has intellectual property to protect. But, as a startup founder, it’s not likely you have an open chequebook for this type of service. So, with that in mind, we’re going to help you find the perfect startup lawyer, while still being cost effective. Read on to learn about where to look, who to choose, and more. At this point, you may still be thinking, do I really need one? The answer is an absolute yes. Why? Because these guys are your problem solvers. They’re you’re go-to people for when situations arise (because we all know they will). They manage internal and external conflict. They take proactive steps to minimize your risk. They even assist with developing core strategies for your business. Don’t make the mistake that many do. You need to find someone who can help you right from the beginning. So, let’s start at the top. Before you even begin your search, you’ll want to pin down exactly what it is you’re looking for. You’ll need someone with experience in drafting business documents and contracts. Also, you’ll want someone who has experience in corporate, tax, and employment law. What are startup lawyers usually responsible for? Developing, maintaining, and reviewing corporate handouts, books, documents, contracts, etc. Working with founders to assign roles, responsibility, delegate power, etc. But, these are just the basics. To find the right person for you, you’ll need to push beyond the envelope and dig deeper. Yes, lawyers are busy people. But, you’ll need one that can communicate with you on a regular basis. Also, you’ll need one that is open for those last-minute consultations. When meeting with a startup lawyer, get a feel for their current workload. Ask them what about their current work load and if they have time to handle your needs. Also, prior to your initial consultation, observe their response time. Did it take longer than a day or two for them to follow up with you? That’s a bad sign. You need someone who can be there for you when you need them to be, and that starts at the beginning. You’re going to be dealing with this person a lot. So, it’s imperative that the two of you can work well together. Also, they need to fit in with the company and its standards. They should have a connection with your line of work and understand your best interests. Your startup lawyer needs to have a similar appetite for risk as you and the company. Understand what your tolerance is when it comes to all matters, not just legal. Then, make sure you discuss this at the consultation. Find out if they push things to the limits or if they’re more ‘play by the rules’. It’s hard for people who don’t share the same risk level to work compliantly together. Whether they’re a one-man show or a larger firm, it’s likely they have connections to outside companies. This is something you should certainly be taking advantage of. Inquire about their on-hand contacts. It doesn’t even have to be limited to your industry. They may have connections in other areas that will increase your growth potential. But, don’t write someone off just because they don’t have additional connections. After all, your main focus is to find someone who can properly represent you and your company as it grows. We’re going to backtrack a bit. Let’s talk about where to begin finding attorneys, as the resources often feel limited. Probably the most helpful way to start your search is by reaching out to those you know in your field. Ask your investors and advisors about their recommendations. You should even reach out to other startup founders about who they work with, past or present. They’ll have a good understanding of what you’re looking for. They can also share their experiences with those they’ve worked with. Any of these people should be able to fill you in on who is and isn’t good to work with. Also, they may even be able to set up some introductions. After reaching out to your established contacts, you’ll want to shift focus to online. Startup lawyers are much more likely to have a heavier digital presence than others. They must understand the grind, right? Start with a simple Google search and peruse through different social accounts. Try broadening your search beyond “startup lawyer” to open different avenues. “Emerging business attorney” is another technical keyword to investigate. You should be able to find multiple channels to learn more about this person. Check consumer-driven review sites, their social channels, Google reviews, etc. Also, it’s sometimes worth it to check forums, such as Quora. Many lawyers answer questions via these sites, so you can get a better feel for their knowledge. Often times, lawyers will host different meetups for startup founders. Their end goal is to obviously establish new clients. But, even if it doesn’t work out that way, that’s okay. You’re still able to network with others who are searching for the same thing you are. Also, you’re able to learn more about startup legal processes from experienced individuals. They will have presentations covering a variety of startup-specific topics. Check Eventbrite or Meetup to find these events. Usually, they’ll cost you a small fee of $10 and sometimes less. Frequently, you’ll see a startup lawyer or law firms acting as an angel investor. These people (or firms) typically sponsor a group of startups within an angel group. This ensures that they are at least familiar with your realm of work. Also, it’s likely that they’re more experienced. You’ll need to watch out for conflicts of interest. Ideally, if they work with a group similar to yours, it would open doors for you.But, it could turn sour quickly. Make sure you understand the lawyer’s position with the other company. Perhaps, you should even meet with the other founders as well. Here’s the part you’ve probably been waiting for. How to find a startup lawyer at an affordable cost? Prior to retaining a startup lawyer, you’ll want to have an in-depth discussion over fees. It’s common for attorneys to bill based on hourly rates. Some will charge you several hundred or more for an hour’s worth of service. Often times, it saves you quite a bit to set either a fixed fee or success fee system. In a fixed fee arrangement, your attorney gets paid one lump sum for the work they do, which is set beforehand. You would lay out exactly what needs to be done (per your request, or your attorney’s). Then, they would list a price, and you’d have the opportunity to agree or negotiate. A success fee is based upon the results of the various projects. Your attorney would get paid after reaching certain goals that you both agree upon. This method ensures that both the lawyer and founder maintain the same risk levels. This will drive both parties to meet goals in a time efficient and effective manner. As mentioned above, it’s important that your attorney is experienced with startup work. Getting a company off its feet is no easy task, so you’ll want someone who can work with you every step of the way. But if you’re a new business owner, you’ve got some other pretty big roles to fill. 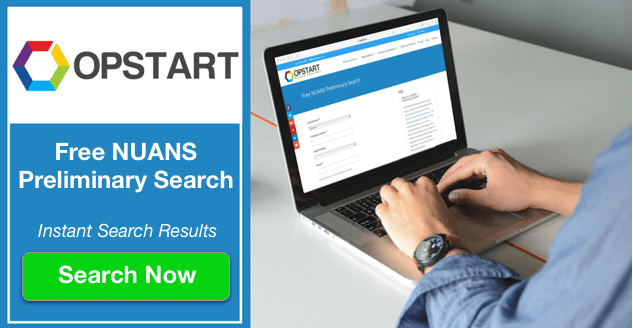 One of your main tasks is to register your new company. Unsure how to do that? Don’t worry, we’ve got you covered. 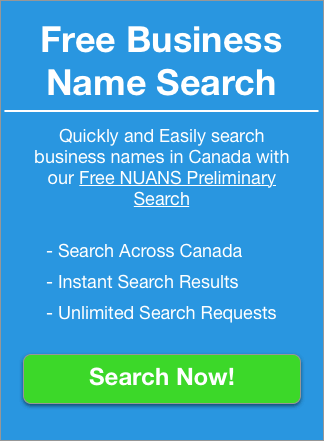 Check out our free name search to determine if your company name is already in use. Also, don’t hesitate to visit our blog for more information about registering, operating, and growing your new business!